I Want Your Input, Please! Hello everyone! I hope you had a fantastic holiday season. As luck would have it, I started feeling lousy on Christmas Eve and couldn’t even get out of bed until December 27th. Although I was able to make our New Year’s trip out to the mountains, I had to forgo skiing or much of anything else. I’m still not feeling 100%, but I’m slowing working on projects that I’ll be sharing in the coming weeks. I’m also catching up on updating the Project Gallery and a few other blog housekeeping tasks I’ve fallen behind on. My goal is to make it super easy for you to find past projects, tutorials and information on decorating, organizing, DIY and more. Not feeling well over the holidays reiterated how important it is to appreciate the simple things we often take for granted. Of course my family is always on the forefront of my mind, but do I let them know that on a daily basis? Perhaps not, and that’s going to change! Is the work I do truly meaningful? I feel it is, but there’s always room for improvement. The purpose of this blog has always been to inspire you to create a home where you feel nurtured, peaceful, uplifted and most like yourself- your sanctuary. This year I want to continue on that path, making it more about YOU. As well, is there anything about the blog you find difficult? Navigating? Posting comments? Pinning images? Sharing posts? Something else? And, finally, are there any additional services you would like to see offered? What do you struggle with when it comes to your home? I welcome and appreciate your feedback. Shauna, I enjoy reading your posts on decorating tips and seeing your DIY projects. My favorites are when you take thrifted items and incorporate them into your home (like your yellow bench and book page wreath). Can’t wait to see what you share this year! I may have a slight obsession for interior design, so I love decor posts! Interior design, decorating and decor are the heart of the blog and I will continue to share those posts. So glad to have found your blog- great inspiration for design! Hello Shauna, I like everything here the way it is. You’ve got a little of this and that and it’s just the right amount too. Sorry I’m no help! I struggle with snazzy design thanks to my husband. I hate our white ikea bookshelves! Happy new Year to you! 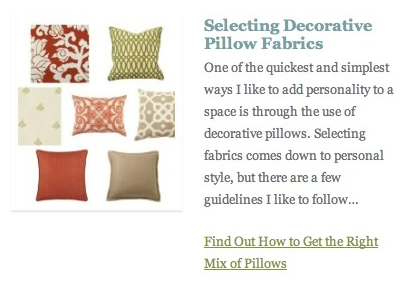 I love seeing your current design projects on your blog Shauna! Can’t wait to see what you share in 2014… I know it will be wonderful! I love your blog (really!) and don’t think you should change anything. Also – the project gallery is genius. Love it! I’m so sorry you got sick over Christmas! I have been very ill before and I know how it changes your thinking. I think one thing that kept me going when I was in the hospital several years ago was that I was going to make Beef Bourginon that I saw on French Cooking and clean my house like never before. It may not have happened right away, but it’s the simple things that you can’t wait to get back to doing. I love it all-décor, diy, organizing, etc. We all need help with it all so offer up what you can! It’s funny how that happens. I was in the hospital years ago and my husband brought me a Better Homes & Gardens magazine. I couldn’t wait to get home to bake these yummy cookies that were on the cover! Perhaps being at home and doing those sorts of things are out reset button? Anyway, Happy 2014! I really enjoyed all the group projects you showed over Christmas! It was great to see all the eye candy and inspiring posts. Sorry that you were sick! Believe me, it’s like that in our house. Christmas means someone has a cold. I think you’re talking about the One Item Project Challenge. I really enjoy the group projects too. Can’t wait for the Outdoor Extravaganza which starts in May. Hope you’ll join! So sorry to hear you were sick! We take mega doses of vitamin D this time of year and it really seems to help. My fav posts are always your DIY projects – I always learn something great. Happy New Year! I do have 1 suggestion – I’d love to be notified of any reply to my comment. Not many bloggers do this but I am seeing it more and more. We just added that to our blog, it seems to be working. On the vitamin D and C (as well as others), but I must’ve picked it up somewhere (probably the mall)! Happy to continue on with the DIY projects! As always, thanks for your comments and feedback. I do have a comment reply notification check box when you fill in your comment, but perhaps I should look for an automatic one. Sorry to hear you were sick over the holidays! That is never fun. I love your DIY projects Shauna, keep them coming! Thanks Karen. I definitely will be doing more of those! I think your blog looks great and to be honest wouldn’t change anything… In fact I can learn a lot from you in organization! This was such a bad year for flus & colds – everyone I know was sick over Christmas! Keep doing what you’re doing! I love the styling & mixing colour & patterns posts because I’m lousy at those things!! Have a great weekend Shauna! Styling, color, pattern… you’re speaking my language! I love all that you do so I’m grateful that you will be cataloging things for easier browsing! I did the same thing on Garden Therapy last year and I think that dividing out almost 500 projects into galleries has really helped! Thanks Stephanie! Yes, getting in the habit of doing it as I post will really help out. I just need to commit to it. Your efforts were worth it- your blog looks great! Thanks Sandra. More basement posts to come (I haven’t shown furniture and decor updates and people have been asking to see them)! I agree it’s fun to peek inside each others’ homes. I’ll try to show more of that this year.